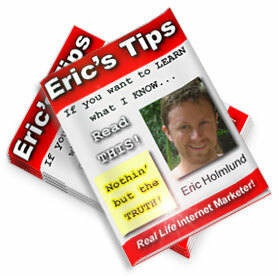 You’ll receive my FREE Internet marketing lessons, which have helped hundreds of people start their online businesses. Similar courses cost as much as $1997.00! Plus you’ll receive 5 free ebooks as an instant bonus! I will protect your privacy, and never sell or rent your email.